First of all I will take off all my make-up so I have a fresh face. I use the Primark make-up wipes and I love how they aren't wet so you can really cleanse the make-up off your face. Primark Deep Facial Cleansing Wipes. £1 for 2 packs of 25 wipes. Then I just check my blog for comments, twitter for new people to follow and my personal facebook. 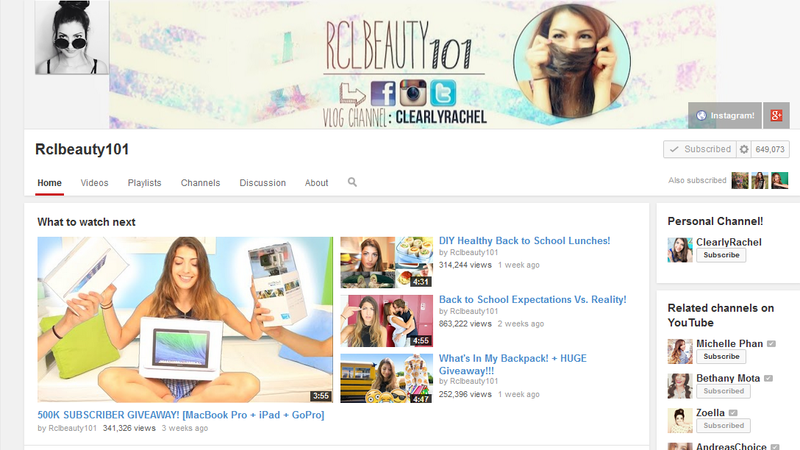 My favorite youtuber at the moment is Rachel, RCLBeauty101. Last thing I will do is to put it in a plait so it is wavy the next morning like soooo. And the only thing important thing I do it paint my nails a light colour so when I take it off at night it wouldn't have stained my nails and if anything I can put my chosen nail colour over the top.